One often does shopping without pondering much over the pros and cons. However, a good and an efficient choice can be made if the benefits are known and the tips are followed. Similarly, when buying a barstool, one should consider the benefits of and tips for breakfast bar stool beforehand. Breakfast is regarded as the most vital day of the meal. Therefore, the first and the foremost advantage of barstool is that it gives importance to breakfast. Breakfast done in a hurry loses its value. People today are realizing the value of having a peaceful breakfast and breakfast stool provides a comfortable place to have the important meal. Moreover, these barstools can be used in any corner of the house. They can be used by children to do their homework in front of their mothers. During parties, they give friends a place to sit and give their host company. Some things should be considered before buying a bar stool . The most important is that the height and the size of the barstool should complement the size of the kitchen. It is advisable to take the measurements of the bar counter beforehand. If the bar has not yet been installed, stools can be bought first and then the bar can be fixed accordingly. Foldaway stools can be used if there is not sufficient space. In addition, the color and the style chosen should be in line with the décor of the kitchen. 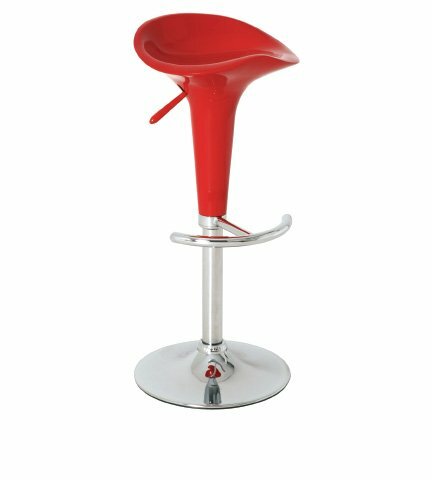 Along with other considerations, while buying the bar stool durability is an important factor to be considered. According to the desired comfort level, the barstool may or may not have a back support, a swivel option, or soft seating. It is highly recommended that one sets the budget limits beforehand, stays within the limits, and make the purchase accordingly.